Did you suffer from acne when you were a teenager? I did. And it really sucked. Thankfully, my breakouts never left scars on my body, but I had enough spots on my face, back, and chest to make me feel very self-conscious at school, and because the internet didn’t exist back then and my mother doesn’t wear makeup (I often wonder if we’re related? ), I never learned how to hide acne properly. Which made my teenage years really awkward. So, with back-to-school around the corner, I decided to put together some great tutorials to help teach your teen how to hide blemishes and acne. I’ve also shared some of my favorite skincare and makeup products below which have helped me maintain a relatively clear complexion since my early 20s. La Roche-Posay Effaclar Duo Dual Action Acne Treatment Cream: I have been using this cream for 9+ years, and I really love it. It hydrates while simultaneously combatting problem skin, and it doesn’t make my face super oily. Vichy Pureté Thermale 3-in-1 One Step Cleansing Micellar Solution: I have also been using this product for 9+ years, and a few pumps on a couple of cotton pads is all it takes to remove ALL of my makeup each night. It doesn’t irritate my skin or cause breakouts, and I really love it! Revlon PhotoReady Makeup & Revlon PhotoReady Powder: I’m really cautious about using foundation and powder on my face because a lot of brands cause me to breakout, but I’ve had a lot of success with the Revlon PhotoReady line of products. That’s not to say you’ll have the same results, but I’m comfortable recommending both of these items given how my skin tolerates them. 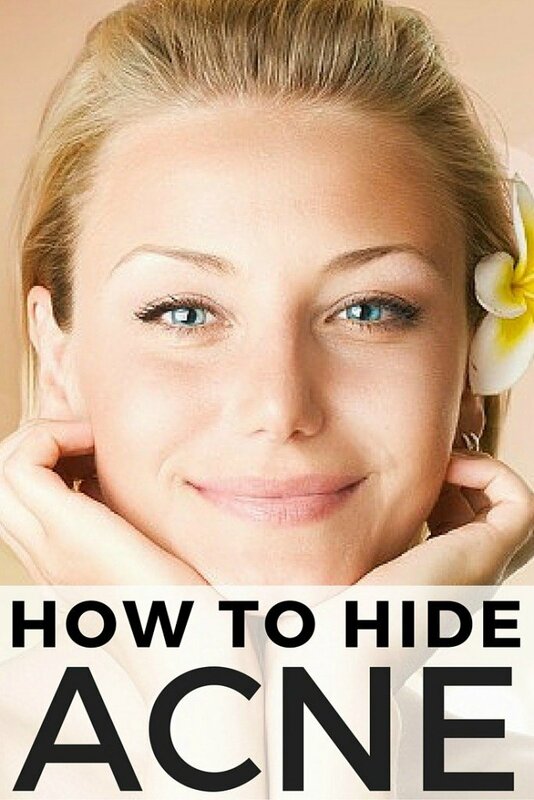 If you are fortunate enough to only have a few blemishes and acne spots, this tutorial is just what you need to learn how to get a flawless look with minimal makeup. Similar to the tutorial above, this tutorial will teach you how to cover moderate blemishes and acne spots, but it’s filled with more great tips and tricks, so I had to share it! If you have acne scars on your cheeks, this tutorial is for you! It will give you recommendations on products and techniques to use to hide your scars, and I am so amazed at how natural (and flawless!) the finished look is! This is an awesome trick to teach you how to fill in ridges on your skin from acne scars so you can achieve a flawless look. Give it a try – I’m sure you’ll be amazed at the outcome! If you suffer from bad acne, this tutorial is just what you need. As of today (August 8, 2014), it has had over 23 million views, and you will be wowed with the finished result. Trust me! And if you’re looking for more beauty tips and tricks, please follow our Beauty board where we share all kinds of greatness!